Tehiyah Bridge Kindergarten provides a developmental play-based program which meets the needs of the whole child – socially, emotionally, cognitively, artistically, and physically. Our Bridge-K is designed to provide a “bridge” between preschool and kindergarten. These children receive the gift of an extra year to learn and grow. Our goal is to prepare children for the challenges of a Kindergarten classroom while instilling a joy of learning and strong sense of community. 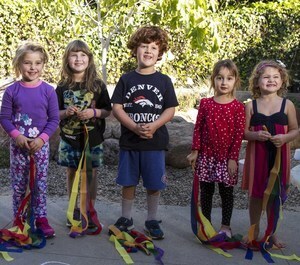 Through an emergent (child-directed), hands-on curriculum, children’s curiosity is fostered in a space imbued with Jewish culture and values. 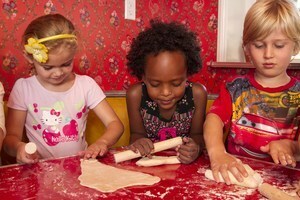 We celebrate the unique gifts each child brings to the group and help children become strong and self-confident. 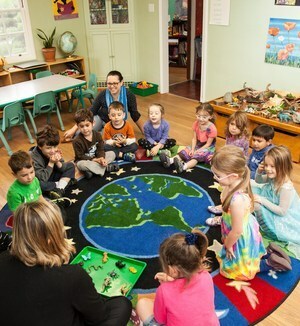 At Tehiyah Bridge-Kindergarten, children explore language arts, science, math, Judaic studies, and social studies through the lens of ecology and conservation. 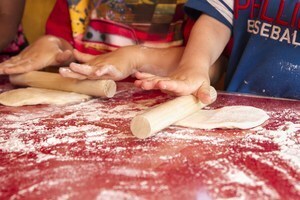 We employ a project-based curriculum that allow children a deep exploration of interests. Through their experiences, students develop problem-solving and critical-thinking skills, respect for our environment, conflict resolution skills, self-confidence, respect for diversity in all its forms, and the realization that they can make a difference in the world. From the first day of class, children begin to learn what it means to be part of a caring community. 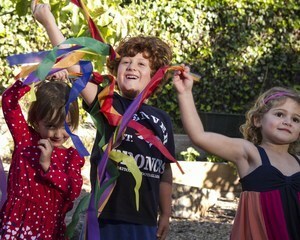 Jewish values and holiday celebrations are used to teach important social and emotional skills as well as encourage friendships and connections. We recognize the diversity within our community as well as what we have in common. Our program helps children develop the skills which are needed to be a positive member of a group and a successful Kindergarten student. We are located at 6305 Barrett Avenue in El Cerrito – next door toTehiyah’s main K-8 campus and across the street from Tassajara Park. Bridge-K students will benefit from a cozy home-like setting and low teacher-student ratio, along with the opportunity to “buddy” with older Tehiyah students and be part of our larger community. Founded in 1979, Tehiyah has provided consistently high-quality education to a generation of students. Our graduates have gone on to become remarkable young men and women. Our Bridge-K director, Susan Danek, holds a B.S. in biology from Stanford, a M.A. in marine biology from San Francisco State, as well as a certification in Early Childhood Education. She has worked with young children since 1990 – as the director of the four-year-old program at Children’s Community Center for nine years and then as the Kindergarten teacher at Crestmont School for 10 years. She brings her passion for science, her deep knowledge of early childhood education, and her love of children to our program. 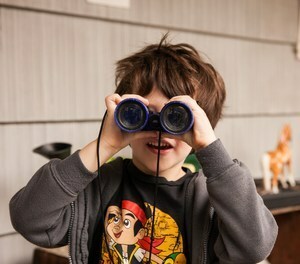 Typically, children who are ready for our program will turn 5 years old by Spring of their year in Bridge-K. However, each child is evaluated for appropriateness and is observed at his/her current preschool as part of the admissions process. Priority is given to children whose older siblings attend Tehiyah Day School. Tehiyah Afterschool Program and Enrichment Classes 3:15-6:00pm. We look forward to welcoming you to the Tehiyah community!